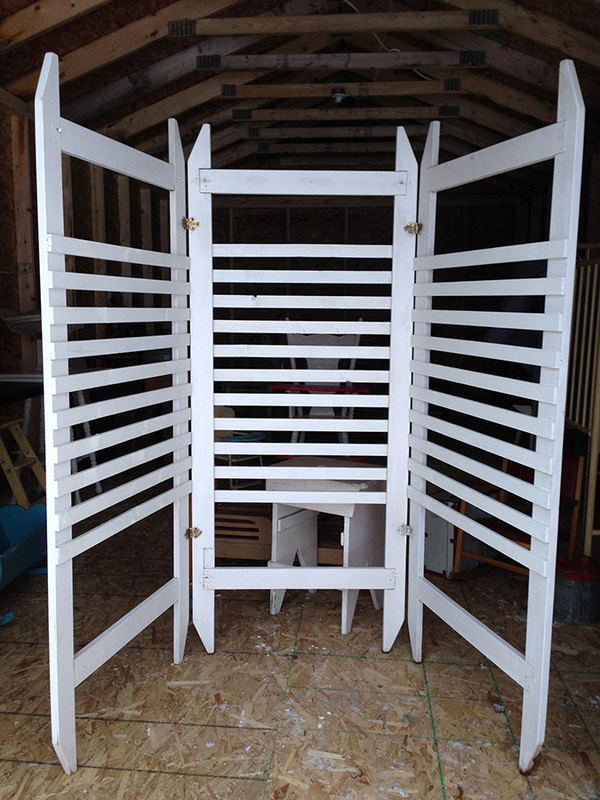 White wooden slats make up this 3 panel screen. Perfect for displaying items. Seating chart.